Florida has tight relationships with native tribes residing within the state. Due to gaming agreements between the state and existing tribes, Florida has no land-based commercial casinos. However, there are multiple tribal-run casinos and racino venues to which the state receives tax revenue from. Florida does provide two casino cruises which allow casino, poker, and sports gambling to occur on international waters which ensures that there are no violations of gaming compacts between the tribes and the state. 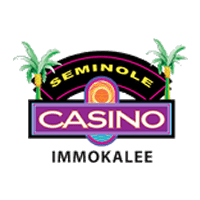 As stated above, nearly all casino gambling venues in Florida are operated by one of either two native tribes, the Seminole Tribe of Florida or the Miccosukee Tribe of Indians of Florida. Most full-fledged casinos in the state are located near central and south Florida. Below we will examine each casino and provide thorough reviews of each venue to assist players in locating their best options, keep in mind most casinos listed below only allow players 21 and over to gamble. This venue is particularly accommodating toward couples, families, and individuals over the age of 21 who are single and just looking for some fun. However, 18 year olds may participate in Class 2 bingo and poker games. The Seminole Hard Rock in Hollywood has prided itself in offering the best in service, experience, and entertainment spaces. The casino hosts a theater, 3,500 seat concert hall, four bars & lounges, nightclubs, shopping, dining, a spa, and pool with bar service throughout the venue. Guests love this casino for its atmosphere and delicious drinks and food. The casino is a smoking casino but also features a designated non-smoking area. The casino’s gambling floor hosts mostly slot machines and while it has card tables, some customers complain of not being able to find an available table with open seats. The Hard Rock in Hollywood is known to offer great rooms with views and top-tier service. New renovations to the venue include a new hotel in the shape of a guitar. This is the Hard Rock in Hollywood’s biggest project currently underway and will be opening soon. 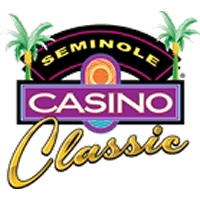 The Seminole Classic Casino in Hollywood offers new and older slot machines, poker tables, and blackjack, as well as, other card table games. Twenty-one-year-olds may gamble freely while eighteen-year-olds have access to Class 2 poker and bingo games. This casino is designed to be a smoking casino and has reasonably priced drinks and food, as well as, attentive bar service even when you play. However, drinks are not comped while gambling. Reviews of this venue state say the slots offer great payouts and are quite loose. This casino offers two bar and lounge options from the Side Bar to the Stage Bar. The Seminole Classic Casino also provides excellent food at any of its four restaurants – the Flying Cow, Mojoe, Slice, and SoyGood. The Seminole Casino in Coconut Creek offers live entertainment in the form of bands, over 2,000 new and older slot machines, and over 70 robust variation table games. 18-year-old gamblers may play bingo and poker games, while 21-year-old gamblers have full access to casino games. The entire first floor of the casino holds the majority of games and allows smoking. The casino offers a second floor which is a non-smoking area with its own games, bar, and lounge. The casino hosts a variety of restaurants such as the NYY Steak, Sorrisi Italian Restaurant, and New York-style 1st Street Deli. The Seminole Casino in Coconut Creek also has live DJs play at their clubs the Legends Lounge, Sunset Grill, and Nectar. The casino operates 24/7 and serves non-alcoholic drinks for free. This Hard Rock location in Tampa is geared more toward mature individuals and couples. The casino hosts free parking, bars & lounges, dining, shopping, a spa, concert venue, and more. Known for its spectacular poker rooms where 18 year olds can join, as well as, bingo, the Hard Rock Casino in Tampa is active 24 hours a day and lively even during the wee hours of the morning. The casino also sports a healthy selection of table games but also holds onto older outdated slot machines which 21 year olds can enjoy. The Hard Rock in Tampa is often criticized by players for their high minimum bets per hand of $25 while increasing to $50 per hand during primetime hours. This casino is also stated to easily overcrowd. The Hard Rock is a smoking casino but also offers an exclusive non-smoking area, however, guests often complain there is little security to enforce such a rule. The Seminole Casino in Immokalee is a slightly smaller venue then Florida’s larger Seminole casinos at 51,000 sq ft. The casino hosts mostly slots and few card tables, the casino has over 1,300 slot machines which are a mix of updated newer machines with older machines. The slots all have different bet ranges which allow low and high rollers to find something they like. Slots are available for 21 year old patrons to enjoy, while 18 year olds can enjoy poker games. The hotel and casino floor are hygienic and elegant, as well as, provide a great and safe environment, thanks to the casino’s robust security team throughout the venue. Some complaints concerned the taste and cost of the food served at the venue, as well as, mixed reviews concerning slot payouts and progressive jackpots. The casino operates 24/7/365. The Miccosukee Resort and Gaming Casino in Miami has both smoking and non-smoking areas. This casino also hosts a kid’s daycare area and teen arcade zone to keep children away from the casino floor and accommodate parents. This casino exclusively offers slot machine games and high stakes bingo, perfect for 18 year old players. Despite the minimal selection of game options, many reviews have commented on the delicious food and alcoholic beverages served from their bar and five dining options. The staff is very friendly and accommodating. This casino provides robust nightlife options, a spa, all you can eat buffet, golf club and course, as well as, 4-star hotel rooms. The slots at the Seminole Casino Brighton in Okeechobee tend to be loose rather than tight. The casino offers six poker tables, bingo, blackjack, and other card table games. Poker and bingo is available for eighteen year olds to particpate in. Some comments on this casino regard its smaller boutique size and need for a larger non-smoking section. The staff at this casino are very friendly and polite. The venue itself is rather clean and not too overcrowded. Many players have praised this casino for its great casino atmosphere and experience. 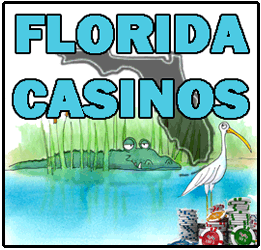 The state of Florida offers multiple licensed racinos which either combine poker gambling, horse race betting, bingo, casino gambling, or jai-alai wagering in one venue. State residents and visitors are welcome to enjoy the combined experience in a variety of locations peppered throughout the Sunshine State. 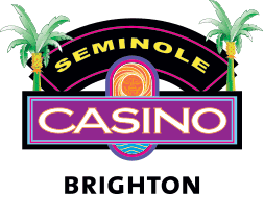 Below we list available racinos in Florida which offer some form of machine gambling, card gambling, or wagering; most require players to be at least twenty-one. 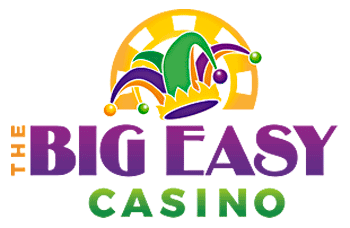 Formerly known as the Mardi Gras Casino, the Big easy casino in Hallandale hosts at least 500 slot machines and a poker room, accessible to 21 and 18-year-olds – respectively. The venue offers a luxurious French Quarter restaurant, upper-level eateries, dog track racing, Florida’s largest number of video poker machines, video blackjack, and video roulette. Pari-mutuel games are available for young adult to gamble on. Florida is permitted to provide casino cruises which take patrons offshore and into international waters to enjoy full-fledged gambling offers. FL casino cruises are private companies not owned by either Florida tribe. 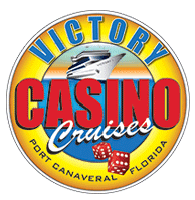 At one point two Florida ports launched these casino cruise ships, however, due to recent weather conditions the casino cruise ship in Jacksonville (owned by Victory casino Cruise) has been relocated to Cape Canaveral. Victory Casino Cruises offer the closest thing to Las Vegas out of the Sunshine State which stay out on the water for approximately 5-6 hours. These casino cruises host over 600 slot machines, 27 casino games with low minimum bets including blackjack, roulette, craps, baccarat, ultimate Texas hold em, 3 stud poker, Mississippi stud, let it ride, bingo, live craps, live roulette, and the only sportsbook available in Florida. The casino floor technically expands over 4 decks with over 40,000 sq ft of gaming floor. The ships allow 18-year-olds to board and gamble but patrons must be 21 to drink, five bars and two dining options are available. The ship operates 7 days out of the week and launches twice, in the am and pm. Is Florida Looking To Offer Online Casinos? There has been legislation introduced in Florida which addresses expanding casino offerings in the state and online casino gambling. 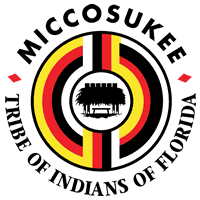 According to gaming compacts between the state and local tribes, if Florida authorized state-regulated online casino gambling tribes would need to arrange payments according to the percentage of net win fallen or replaced by offering internet gambling in-house; currently, the Seminole tribe pays $300 million annually to the state as part of their compact arrangement. Details regarding potentially expanded casino gambling and online casinos in Florida can be further explored in the provided review document. What About Gambling Through Florida Internet Cafes? The emergence of internet cafes provided many individuals in Florida the new-found capability of internet access, particularly those without a home computer or at home internet access. Unfortunately, a number of internet cafes began operating as illegal online casino venues and began taking untaxed and unregistered gambling money from locals. Upon the discovery of this usage, Florida was then forced to outlaw online gambling at internet cafes and shut down any internet cafes found hosting illegal gambling operations while requiring keen monitoring of any internet cafes still operating. Florida residents can still enjoy casino gambling, poker gambling, and sports gambling options online through licensed offshore platforms. Florida has no law which bars residents and visitors from accessing 18+ online casinos which are legitimately licensed and operating legally in the US market. Legally operating online casinos provide security, fairness, and are more trustworthy than unlicensed online sites, and can provide 24/7/365 access to full-fledged gambling for young adults.